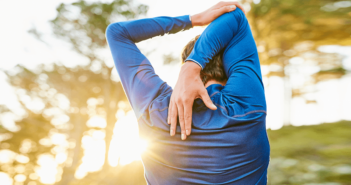 When most people hear the word “arthritis,” what comes to mind is osteoarthritis, the seemingly ubiquitous aching-joint condition suffered by more than a third of people over age 65. Much less common, but often more devastating, is rheumatoid arthritis (RA), an autoimmune disease that also attacks the joints affecting many in the prime of life. 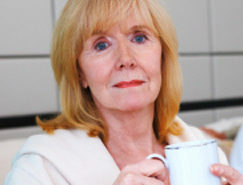 About three-fourths of patients with rheumatoid arthritis are women. Where incidence had been declining for nearly 40 years, researchers from the Mayo Clinic announced that it is again on the upswing, specifically among women. Between 1995 and 2005, the number of female patients diagnosed with rheumatoid arthritis climbed 50% from 36 new female patients per 100,000 to 54 per 100,000. Why the increase? Some of the growth can be accounted for by the fact that doctors now have more awareness of how to diagnose the disease. Other factors are at work too, I learned from Eric L. Matteson, MD, chair of rheumatology at the Mayo Clinic in Rochester, Minnesota. Hormones are known to play a role (since RA typically improves with pregnancy but comes back after delivery) but researchers are examining possible environmental explanations as well. For instance, researchers recently learned that there is an association between living near busy highways and development of RA. Here’s another theory: For unknown reasons, some people are prone to develop RA after exposure to particular viruses. After a virus has made the rounds and exposed large numbers of people, it may be dormant for a long period, since many people have built immunity. That immunity eventually fades—then, if the same virus returns, it once more affects many people, including some who are susceptible to developing RA. Dr. Matteson noted that such a swell in chronic diseases due to reemergence of a triggering cause, such as virus, is not uncommon. 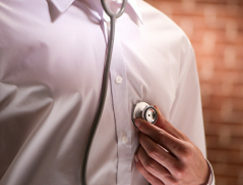 A recent discovery is that people with RA are at higher risk for heart disease. 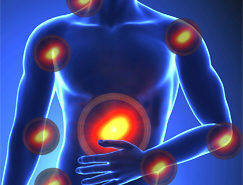 However, this is not much of a surprise, says Dr. Matteson, since RA is an inflammatory disease—increased inflammation in the body causes more inflammation in the lining (endothelium) of the arteries including those into the heart, which leads to greater cardiovascular risk. Researchers are at work trying to identify more sophisticated inflammation biomarkers to learn more about this and other health risks that may coexist with RA. Doctors used to wait till joint damage showed up on X-rays before they would prescribe drugs for RA to hold off further harm. Now, doctors prescribe these drugs as soon as the diagnosis is recognized, so patients can live longer with less pain and permanent damage. It’s important to be aware of the symptoms that could indicate a diagnosis of RA and treat them early on. While several drugs are effective, methotrexate is the anchor drug for most RA patients, Dr. Matteson said. All treatments have the same goal—to reduce signs of inflammation and free patients from joint swelling discomfort. RA drugs have many toxic side effects, so doctors typically try to find the lowest effective dose. Dr. Matteson told me there are a number of ways to ease RA through natural treatment. Since omega-3 fatty acids reduce inflammation and its associated pain, he recommends a large dosage—perhaps two to three grams per day. Exercise keeps the joints limber, increases range of motion and strengthens supporting muscle and keeps the bones strong. Research shows that yoga may be helpful in reducing discomfort, but Dr. Matteson cautions against more active and intense forms of power yoga, which can stress the joints. In his view, gentle Tai chi is ideal—patients report that it helps reduce pain and creates more comfortable stretching. Dr. Matteson advises following a healthy diet, including avoiding foods that may provoke inflammation and choosing fresh fruits and vegetables. 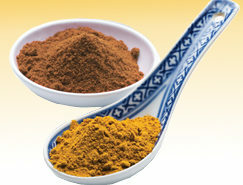 Turmeric has some anti-inflammatory properties and may help somewhat. While some people believe that nightshade vegetables—primarily eggplant, tomatoes, white potatoes and peppers—can exacerbate discomfort in certain sensitive patients, Dr. Matteson says he hasn’t found that to be true for most of his patients. His advice: Watch to see if these or other foods trigger discomfort and, of course, avoid any that do. Finally, it is also important to stop smoking if you smoke, because smoking is associated with an increased risk of RA, and people who smoke and have RA tend to have worse disease than those who do not. 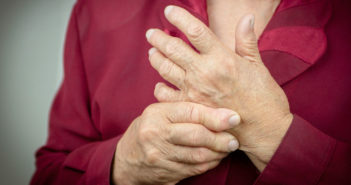 Typical RA symptoms include joint pain on motion, swelling, reddening and decreased range of motion of the joints of hands, especially the wrists and fingers, most especially where the fingers meet the palm (metacarpophalangeal joints) and the middle finger joints (the proximal interphalangeal joints). Rheumatoid arthritis also often affects the feet and ankles, as well as other joints. The disease can arise in children or the very old, but the median age is 56. Anyone who experiences an increase of small joint discomfort and especially with swelling in the joints and symptoms that continue for six weeks, should get an evaluation from his/her doctor or a rheumatologist.